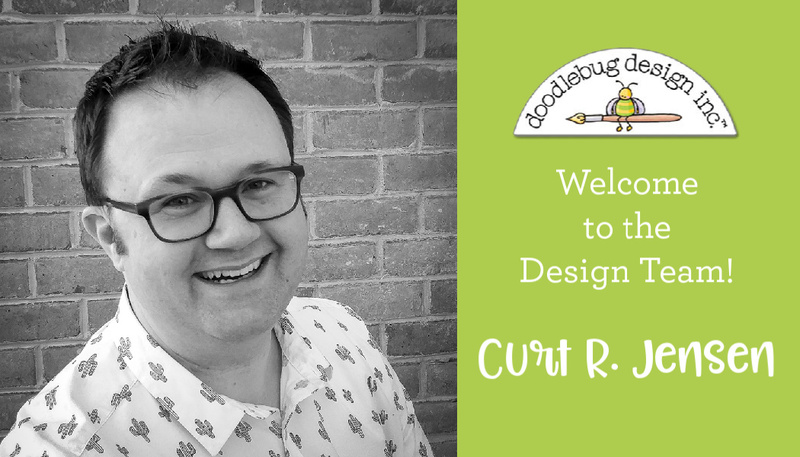 We are delighted to introduce a new member to our Doodlebug Design Team. So please make him welcome. This may be Curt's first post on the Doodlebug Blog, but you're already familiar with his work. He works in-house at Doodlebug Design as a member of the product development team. And we are thrilled to have his talents extend to our design team. And guess what? 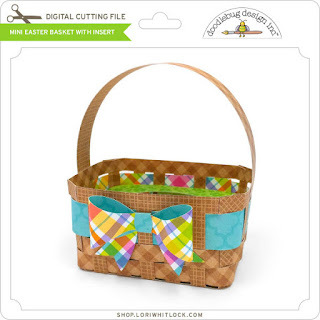 You can make them, too, with Doodlebug Design's new Hoppy Easter collection and my 3D basket design which is now an exclusive Doodlebug Design SVG cut file available from the Lori Whitlock Store. Each of these Mini Easter Baskets were woven together, by hand, with strips of patterned paper. 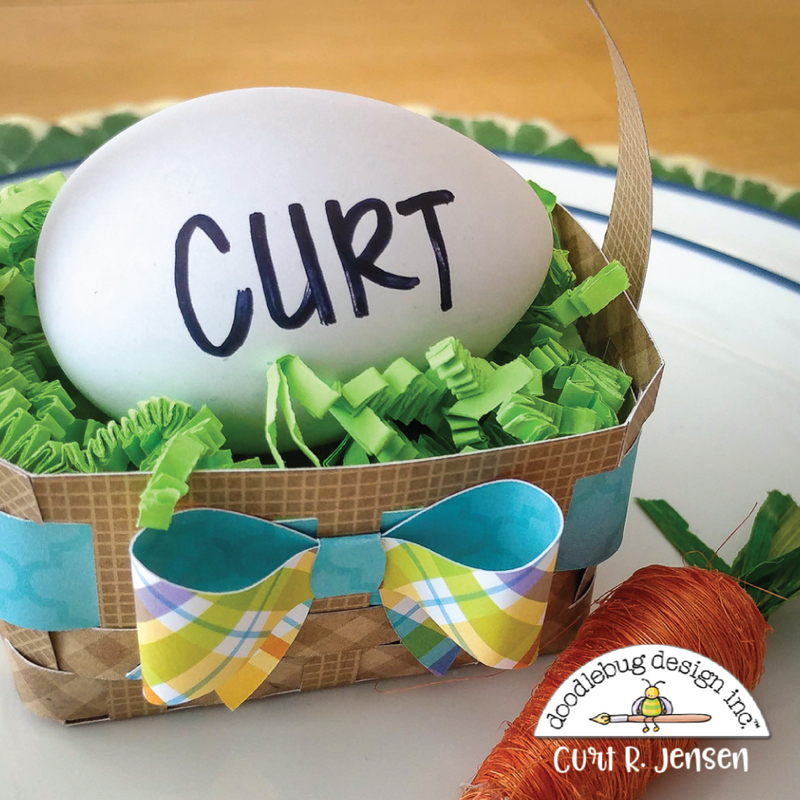 Visit my blog for step-by-step instructions on how to create your own Mini Easter Basket. I love when projects serve a dual purpose. 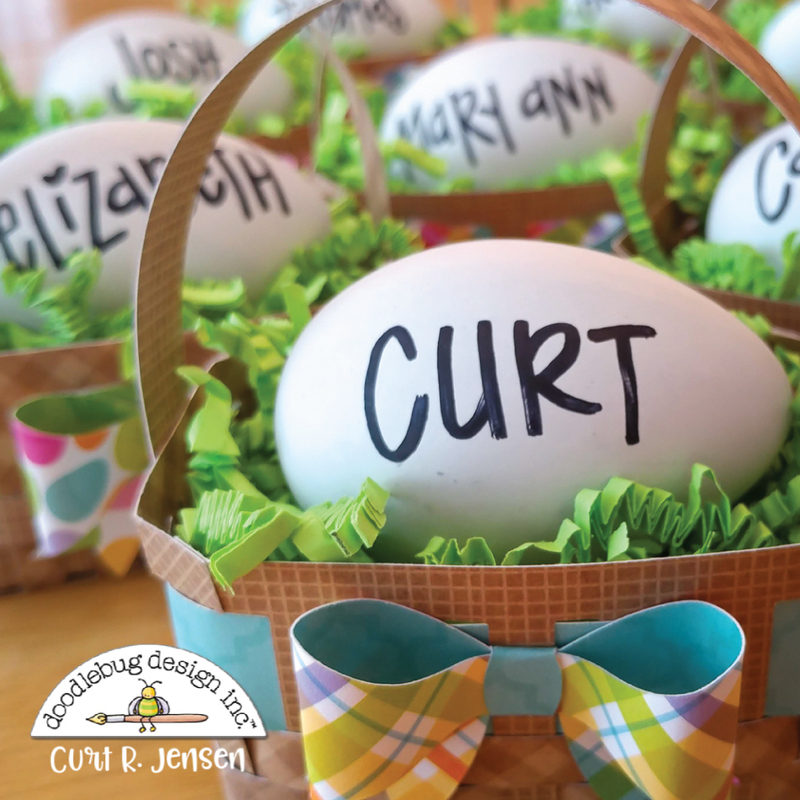 I wrote my family member's names on each of the eggs and voila, the Mini Easter Baskets are both a place card AND a party favor. 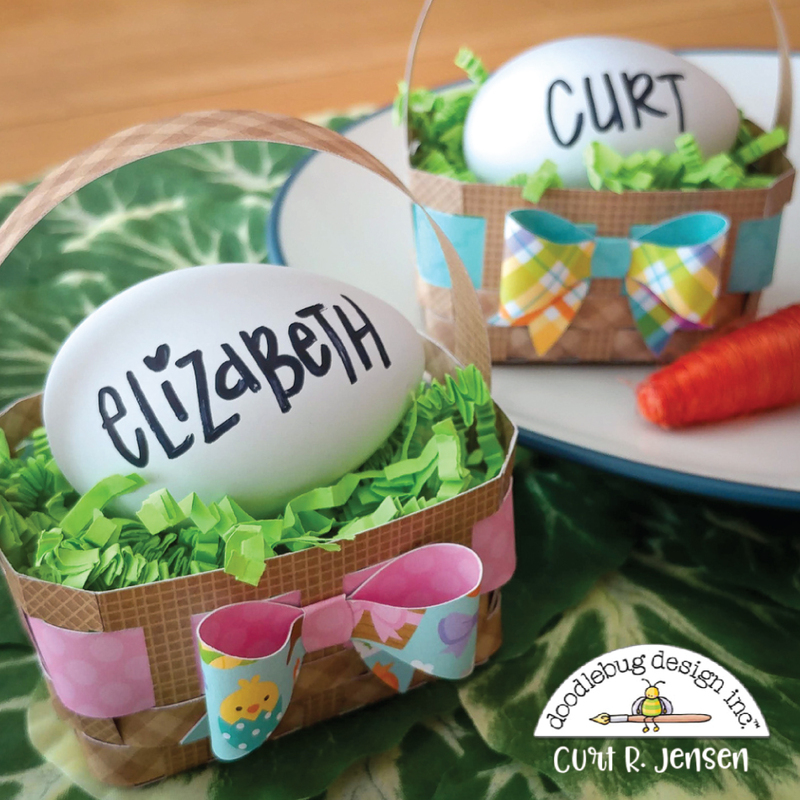 If hand lettering isn't your thing, don't worry, use plastic, hard boiled, or chocolate eggs. Or, fill each Mini Easter Basket with candy! However you decide to fill them, these Mini Easter Baskets are perfect to put all your eggs in. Congratulations, Curt!! And what an adorable project!! That's it, I have to get a new cutting making that takes cut files!!! Congratulations, Curt! I love to dress up my dinner table too. This is an adorable project. Welcome to the team Curt!!! This little basket is just fabulous!! Congrats Curt! Your little Easter baskets are adorable!! Can’t wait to see what you create next!! AHh congrats. Great projects. Thanks for sharing.